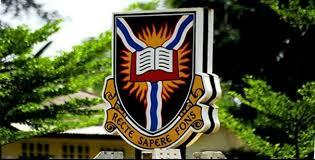 University of Ibadan Distance Learning Centre (UIDLC) Admission Form, Courses, Admission Requirements, Application Guidelines for 2018/2019 Academic Session. The programmes are run under the University's Open and Distance Learning (ODL) Platform. and other disciplines similar to the above stated. B.A. (HONS.) PHILOSOPHY & PUBLIC AFFAIRS Candidates with two A-Level papers, NCE, OND and HND, 1st Degree from any discipline are eligible provided they meet O Level requirements of English Language, one Arts subject and any other subjects from Arts, Social Sciences and Science. Five or six O' Level credits at One or TWO sittings in English Language, another Arts subjects and any other subjects in Arts, Science or the Social Sciences. Apart from English Language, another Arts subject is required for both Direct and O Level admissions into Philosophy and Public Affairs. BA (HONS) COMMUNICATION AND LANGUAGE ARTS a) OND (Mass Communication from a recognised Polytechnic) with an Upper Credit grade only in addition to O level requirement. b). Two A Level passes or NCE at merit level (from a recognised College of Education) to include English Language and one other Arts or Social Sciences subject in addition to O level requirement. Five 'O' Level credit passes at one sitting or Six 'O' Level credit passes at two sittings to include English Language, Literature-in-English, another Arts subject, and other subjects from Arts or Social Sciences. Candidates with HND (Mass Communication, at least Lower Credit grade) are also eligible for 4-year Direct Entry admission. Candidates (irrespective of year of graduation) with Grade II Teachers' Certificate (TC II) with credit or merit passes in at least five (5) subjects to include English Language, Literature-in-English, another Arts subject, and any other two Arts or Social Sciences subjects may be considered for the 5-year mode. BA (HONS) HISTORY AND DIPLOMATIC STUDIES a) Candidates with one of the followings: 2 A/L passes including History or Government; Two Credit Pass in HND/OND/NCE; Diploma certificate of History and Diplomatic Studies or any other related course; and five O/L Credits at a sitting or six O/L Credits at two sittings including English Language, History or Government and at least one Arts/Social Science subject. b) Exceptionally mature candidates with relevant Diplomas and NCE in any discipline and with 5 years relevant experience in related establishment are qualified to apply for the 4 year direct entry programme in B.A History and Diplomatic Studies. Five or six O' Level credits at one or two sittings in English, History/ or Government plus any other subjects from the Social Sciences or Arts. B.SC. (HONS.) PSYCHOLOGY Candidates must possess 2 A-Level passes to include Govt. or Hist. NCE, HND, Nursing and First Degree are accepted provided O' Level requirements are met. 5 O' Level Credits at One sitting or 6 O' Level credits at TWO sittings in English Language and any other Social Science subject and any other subjects from Arts or Social Sciences; in addition, the candidate must possess at least a pass in Mathematics. Psychology accepts for Direct Entry candidates with: NCE: NOT lower than a credit pass from any discipline HND: NOT lower than a credit pass from any discipline Nursing: with NRN 1st Degree: NOT lower than a 3rd class from any discipline HND & 1st Degree may apply for a 3-year fast-track programme. The Department DOES NOT ACCEPT OND. ECONOMICS Candidates must possess 2 A-Level in Economics and any other subject; OND, HND, NCE, Diploma Certificate and 1st Degree from any discipline plus ‘O’ Level requirements are accepted. 5 ‘O’ Level Credits at ONE sitting or 6 ‘O’ Level credits at TWO sittings in English Language, Mathematics, Economic and any other subjects from Arts or Social Sciences. English Language, Mathematics and Economics are strictly required for both Direct and ‘O’ Level admissions into Economics. B.SC. (HONS.) POLITICAL SCIENCE Candidates must possess any two ALevel passes in Government or History. and any other subject. NCE, OND, HND, Diploma Certificates and 1st Degree from any discipline are accepted in addition to ‘O’ Level requirement s 5 ‘O’ Level Credits at One sitting or 6 ‘O’ Level credits at TWO sittings in English Language, Government or History and any other Social Science subject and any other subjects from Arts, the Social Sciences or science. In addition , the candidate must possess at least a pass in Mathematics HND & 1st Degree may apply for 3-year fast-track programme. BSc (HONS) SOCIOLOGY Cambridge 'A' level passes Science, Arts or Social Sciences plus 'O' Level requirements. Five or six 'O' Level credits at one or two sittings in English Language and any other subjects from Social Sciences, Science or Arts, plus at least a pass in Mathematics a) At Least a Pass in Mathematics is compulsory. BED (HONS) ADULT EDUCATION a) Diploma in Adult Education, Community Development, Industrial Trade Unionism from institutions recognised by University of Ibadan in addition to 'O' level requirement. b) Mature candidates with professional experience with five credits at not more than two sittings are eligible for admission but with professional qualification in the required field. BLIS (HONS) LIBRARY AND INFORMATION STUDIES NCE in relevant subjects or Cambridge 'A' level in relevant subjects plus 'O' Level requirements. Five or six 'O' Level credits at one or two sittings in English Language and any other subjects from the Social Sciences, Science or Arts. BSc (HONS) COMPUTER SCIENCE Cambridge 'A' subject passes in Mathematics (Pure and applied) and Physics (ii) OND/HND Computer Science or any other Mathematics-based courses plus 'O' Level requirements; Five or six 'O' Level credits passes at one or two sittings in English, Mathematics, Physics, Chemistry and any other science subjects (excluding Geography & Agric. Science). BSc (HONS) STATISTICS Cambridge 'A' level to include Mathematics, OND/HND/NCE in relevant disciplines plus 'O' Level requirements. Five or six 'O' Level credits at one or two sittings in English, Mathematics, and any of Biology, further mathematics, Physics, Chemistry Technical Drawing and Geography. Economics will be counted as the 6th subject. Kindly log on to http://newportal.dlc.ui.edu.ng/home/Applicants to begin online application.